“Auntie Fori wanted to learn the history of the people to whom she belonged, but from whom, sixty-seven years earlier she had moved away, to the heat and dust and challenges of India. I told her that as soon as I was back in Britain I would write to her, setting out each week, in letter form, a segment of the Jewish story, stating with Abraham, or perhaps with Adam. Two and a half years later the last letter was put into the post. Auntie Fori was then ninety-two. 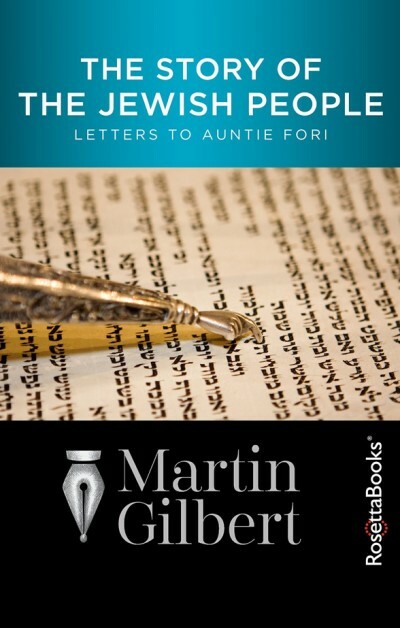 "She was well almost to the very end; I read her 3 letters of Martin's Letters to Auntie Fori the night before she died. She wanted to finish the book 'before she went', but I was purposely dallying, and though we were at Letter 129, I told her, on Anil's suggestion, that I don't finish, that there were still 20 letters left."